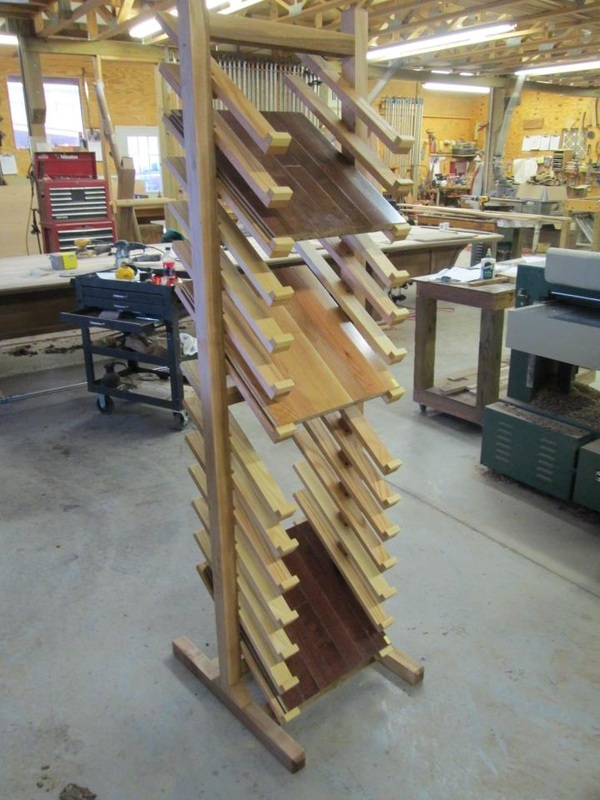 New DRAFTWOOD pre-finished hardwood flooring displays completed and readied for shipment to Woodcraft and ENAP stores. Slowly but surly moving forward with the best "Green Source Story" available - other than doing it all yourself from stump to end use. 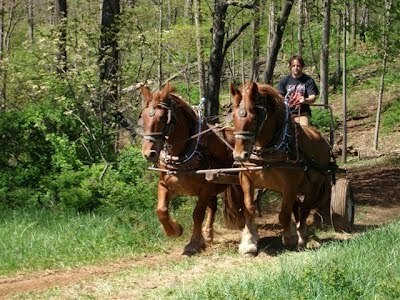 Coming in March...Horselogging on Ax-men. 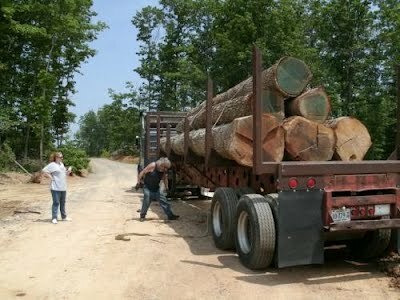 All this oak lumber was processed from the logs harvested during the filming of the upcoming Ax Men show. It is now in the drying process. 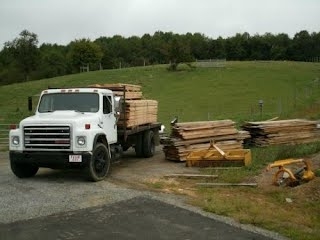 Let us know if you want some high quality Appalachian Oak lumber or a custom built piece of furniture. 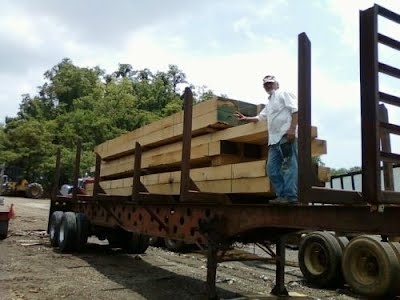 Some of the 28 foot 8" x 14" oak beams on the way to the next stop in the journey to the Warm Hearth Retirement Village Center. 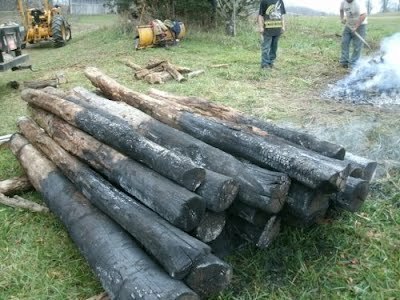 More long logs on the way to being beams for the Warm Hearth Retirement Village Center Building. Thanks to Homer and Bobby Joe for doing the truck'n! Local TV Fox21/27 show with former longtime anchorman! 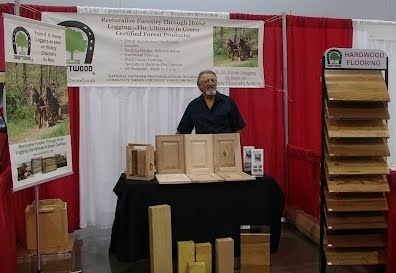 Draftwood is a national network of biological woodsman that provide horse logged locally sourced green certified wood and forest products in your community. Click here to learn more about what we have to offer: including lumber, flooring, siding, trim, and more. 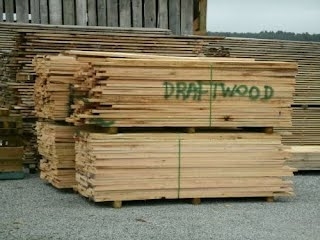 DRAFTWOOD Forest Products are soon to be available at many Woodcraft Stores nation wide. If you are interested in becoming a DRAFTWOOD Franchise producer of "Local Wood" for this program, contact us here. It's an ongoing effort. Thanks to Roanoke Southern States Coop and Micron Bio Systems for their support of DRAFTWOOD Forest Products and Ridgewind Suffolk horses. 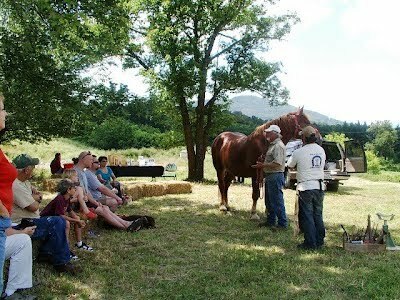 We had a great time visiting with patrons at Customer Appreciation Day in Troutville, VA.
Another DRAFTWOOD sourced forest products project takes shape in a local meditation center. Sweet!